Home Reviews DownTown Mystic: “DownTown Nashville” revives the art of rock! 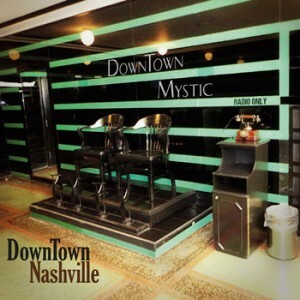 DownTown Mystic: “DownTown Nashville” revives the art of rock! Robert Allen, who records under the name DownTown Mystic makes highly addictive music; people have been hopelessly hooked after just one listening….like I was. It is difficult to pinpoint exactly what the project’s strongest aspect is. All are great; the lyrics, the music, the vocals, the charisma, the energy….I could on and on. One thing is clear though; there is hope that rock n’ roll will prevail over “music” that involves nobody singing or playing a musical instrument, as long as Allen can make his way into a studio. And it seems that rock’s salvation has an appropriately Southeastern flavor with Robert Allen turning his attention to Nashville on his new six-track EP “DownTown Nashville”, which has its official release date on March 18, digitally distributed through Sony Music’s The Orchard. There’s a theory that the big, populist working-class rock of the seventies and eighties (Springsteen, Mellencamp, Petty, Seger) hasn’t died out – it’s just gone country. DownTown Mystic hasn’t exactly gone country on “DownTown Nashville” but they’ve thrown in a couple of its root ingredients to back up the supposition. So much about this EP is great, but I might as well start with the riffs. They’re hard, fast, real, addictive, and most importantly fun. The guitar parts on the stomping album opener “Sometimes Wrong” and rocking cut “Losing My Mind (Too Many Times)” will stay with you until you wear out the EP. As will the groove on the toe-tapping “Shade Of White Bluegrass”. But hell, the lyrics are at least as good. There are a lot of lines that will burn themselves into your memory, from the chorus on “Rise And Fall”, to the verses of “Believe”. This song has also appeared on a Sony Music country hits compilation album in Europe, alongside such country megastars as Carrie Underwood, Blake Shelton, Kenny Chesney and Miranda Lambert. Robert Allen got the break when one big name refused permission to use his song and DownTown Mystic’s “Believe” was chosen to fill the bill. “DownTown Nashville” which contains 6 tracks also features the rhythm section of Ian Hunter’s Rant Band – drummer Steve Holley and bassist Paul Page. Former Nashville studio ace Lance Doss also lends his 6-string expertise to add some down-home flavor. 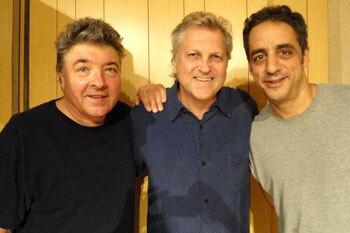 Steve Holley is a legendary NYC drummer who has worked with just about everyone, including Paul McCartney and Elton John. Together with Robert Allen they have revived the art of rock, with heart, soul, humor, intelligence, and venom on this EP. DownTown Mystic has built a cult-like following the old fashioned way by constantly playing, writing and recording great albums. “DownTown Nashville” is a recording that seamlessly blends Robert Allen’s rock n’ roll roots with some subtle Nashville flavors. The result is an EP that will stay in your deck for a long, long time if you take the time to listen to what this hard-working project has to offer. 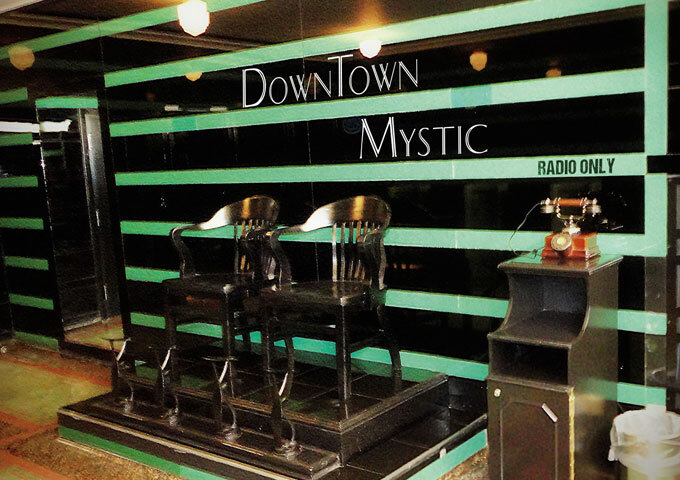 Before you know it, you will be impulsively buying every DownTown Mystic album you can get your hands on. I have never heard a rock n’ roll band be so relentlessly high-quality, intelligent, thought-provoking, fun and just wonderful to hear; musically solid, and never-ever boring! Jamie Alimorad: “Rock Me To Heaven” is about as perfect as pop/rock songs can be! A.M.G Presents: C.O.K – InFamy (A Date Which Will Live In InFamy) – everything here is quotable!